Dentures are a tried-and-true solution for replacing teeth lost to decay, gum disease or trauma. 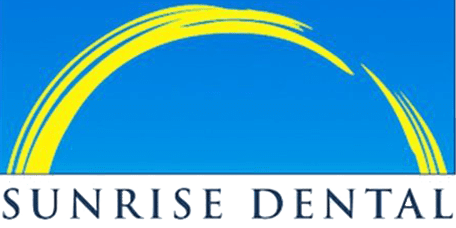 At Sunrise Dental of Renton, men and women from throughout the Renton, WA, area benefit from comfortable, natural-looking dentures made from lightweight, durable materials for better oral health and improved confidence following tooth loss. Today’s dentures use state-of-the-art materials for dentures that are more comfortable, fit more securely and look more like natural teeth. The denture process starts with impressions or molds of the area where the denture will be placed. Dentures can be complete, replacing all the upper or all the lower teeth, or partial, replacing one or more teeth. Once the impressions are made, they’re sent to a lab that specializes in denture fabrication. Once the dentures are ready, the patient returns to the office and has a fitting and adjustment to ensure the denture fits securely and comfortably on the gums. Patients will also receive instructions on how to care for their dentures and how to use special adhesives to help dentures fit more securely. What is the Difference Between a Partial Denture and a Bridge? Bridges use special clips to attach to the teeth on either side of the gap left by missing teeth while dentures “stay put” by gripping the gums. Partial dentures also can be used in areas where bridges cannot be used, like way back in the jaw where there is no tooth to provide an attachment on one side of the gap. Implant-secured dentures are dentures that attach to dental implant posts implanted in several locations in the jaw bone. Implants provide a more secure attachment that can prevent slippage and sore spots, and they can also help patients feel more confident when wearing their dentures. No, dentures can be cared for with regular brushing and the use of soaking agents as needed to help remove bacteria and keep dentures fresh. Dentures should always be removed for sleep and placed in a container of water to prevent them from drying out. It’s also important to have dentures adjusted on a regular basis to ensure they continue to fit well. Dentures that slip aren’t just embarrassing – they can also cause sore spots and infections, and routine adjustments help prevent those issues. Even when all natural teeth have been replaced, regular dentist appointments are important for making sure gums stay healthy and to have for having oral cancer screenings.